Hon’ble Agriculture and Farmers Welfare Minister Shri Radha Mohan Singh appreciated the progress made by the states in implementation of e-NAM. He said that Uttar Pradesh and Madhya Pradesh deserve appreciation for their work. Chhattisgarh and Telangana are already making headway. Several other states are also making progress in this regard. He said it during the e-NAM review meeting held at Krishi Bhawan, New Delhi on 20th September 2017. The Minister said that the officials should run awareness campaign among farmers and sensitize both farmers and traders about the benefits of online bidding. The Government is also doing this through the strategic partner. He said that the laboratories need basic facilities to boost inter-mandi trading and interstate trading. 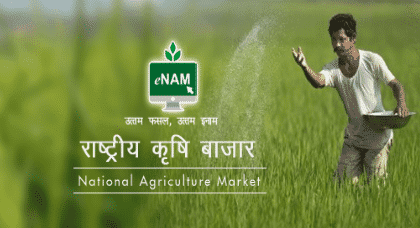 A workshop was organized on 13th Sept 2017 at Krishi Bhawan and all the states who have implemented e-NAM participated along with those who will implement e-NAM. Equipment manufacturers exhibited their products and spoke about the technologies available in the market for quick and reliable testing of agricultural produce. To incentivize online trading and participation in e-NAM, some States like Himachal Pradesh and Uttarakhand have reduced user/market fee for online traders. Rajasthan has instituted Upahar award to encourage for the same. Talking about model APLM Act, 2017, the Minister said that the states should adopt unified single market to boost inter-state trading. Under the act, a cap is levied on market fees to reduce the burden on the consumers. Apart from this, there is a provision for an alternative market so that farmers can access liberal agricultural market and get better value for their produce.